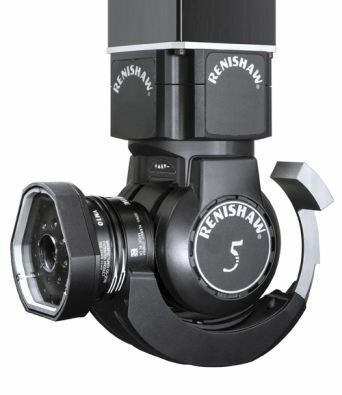 RVP, Renishaw's new vision measurement probe for use with the REVO 5-axis measurement system on co-ordinate measuring machines (CMMs), increases the multi-sensor capability of REVO by adding non-contact inspection to the exisiting touch-trigger, high-speed tactile scanning and surface finish measurement capability of the system. The RVP probe will be demonstrated at IMTS 2016. The RVP system is managed by the same DME compliant interface as REVO and full user functionality is provided by Renishaw's MODUS™ metrology software. New MODUS vision software capability includes RVP configuration, image processing with application specific options and automatic image storage for review and further analysis.